A Language reference set is a Component reference set that is used to indicate which descriptions contain terms that are acceptable or preferred in a particular language or dialect. This dataset describes the Release File structure of SNOMED CT, referred to as Release Format 2 (RF2). The US Edition of SNOMED CT is the official source of SNOMED CT for use in US healthcare systems. 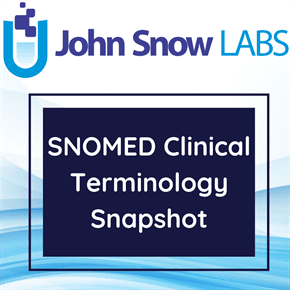 It combines the content of both the US Extension and the International release of SNOMED CT.
A Snapshot release contains the most recent version of every component released up to the time of the snapshot. The version of each component contained in a snapshot is the most recent version of that component at the release time. The ‘Snapshot’ release is useful for a simple installation but does not provide a history or retrospective view of the terminology. There are valid use cases for each Release Type. Each International release will incorporate all three of these Release Types, allowing users to choose the most appropriate format.